As concerns about global climate change continue to weigh on the world, part of the discussion that’s occurring is about air quality. While outdoor air quality is a global concern, the quality of air inside your home is one that is ever more pressing for you and your family. As people spend more time indoors, the need for clean air indoors grows increasingly important. In today’s blog post, Legacy Services Air Conditioning & Heating in New Braunfels will cover indoor air quality, and why it’s important to your home. Generally speaking, indoor air quality is the air that is inside of and surrounds your home and other buildings. The quality of the air is related to the health and comfort of anyone inside the building. 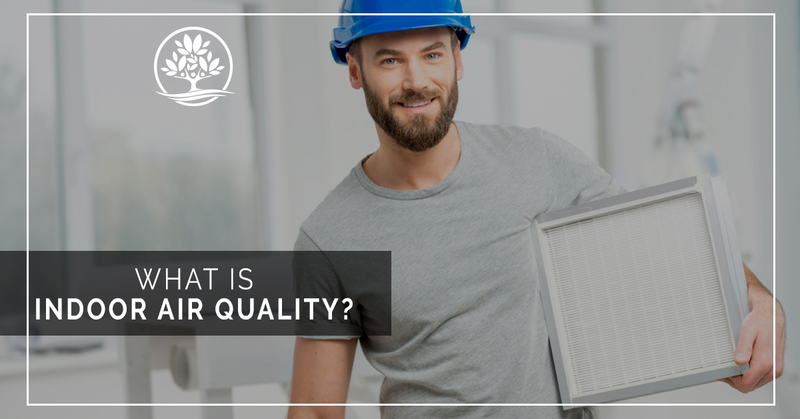 If the quality of the air is poor, occupants are more likely to get sick or suffer health concerns. These health concerns can manifest themselves quickly after exposure to poor quality air, or they can occur years down the road. Fuel-burning appliances like furnaces and stoves. Each of these sources produces different levels and kinds of pollutants. This is determined by old the source is, how frequently it is used, and if the source is properly maintained. For example, if a furnace has a damaged heat exchanger, it can produce deadly carbon monoxide. Other sources, like air fresheners and chemical cleaners, release fewer pollutants, but their volume of use can result in a harmful buildup of pollutants. Depending on the number of pollutants in a building and how much time you spend there, you might experience immediate or delayed health effects after being exposed to poor indoor air quality. Some immediate effects may appear after just a single exposure to a pollutant. These effects include irritation of the eyes, nose, and throat, headaches, dizziness, and fatigue. In many cases, the immediate effects are resolved on their own, or quickly treated by removing the source of the pollutant from the building. Individuals who already suffer from allergies will like experience more immediate health concerns after spending time in buildings with poor air quality, as the pollutants can aggravate their condition. Delayed health effects are often the result of frequent or prolonged exposure to indoor air pollutants, and the symptoms may not manifest for many years in some cases. For some pollutants, like asbestos, health issues like mesothelioma may develop decades after someone has been exposed to the material. Generally, respiratory and cardiovascular diseases are the result of prolonged exposure to indoor pollutants. The most effective way to improve the quality of the air inside a building is to remove the source of the pollutants. For individual products, like cleaners, and cigarettes, homeowners can avoid using them in the house. For other pollutant sources, like damaged HVAC or cooking fixtures, they can be repaired or adjusted. Another approach is to improve the ventilation of the space. HVAC systems like an air conditioner typically do not bring fresh air into a home. Therefore, it is important to leave doors and windows open when the weather permits. Similarly, it is important to run fans in kitchens and bathrooms to help vent contaminants out of living spaces. If you’re concerned about the quality of the air in your home in New Braunfels, don’t wait to take action. You can schedule an indoor air quality test with Legacy Services. We offer more than just air conditioner repair. We can help you improve the quality of the air in your home by replacing the filters in your HVAC systems, replacing them with HEPA media filters. We can also install EPA approved ultraviolet lights, and medical grade air purifiers that make your home more comfortable.